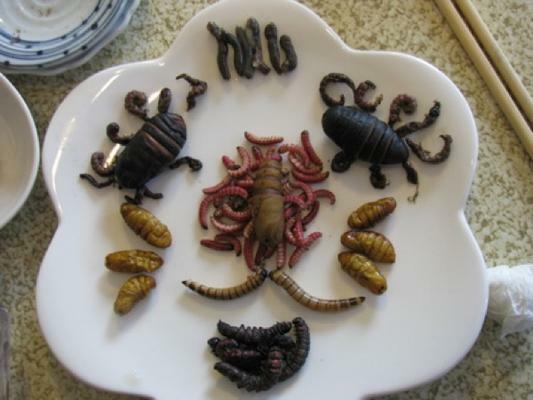 Edible insects are becoming a trend in many cities including UK and USA. London's Archipelago restaurant tops their creme brulee with a bee and Manhattan, New York's Tolache offers grasshopper-stuffed tacos. - Preheat the oven up to 100 degrees celcius. - Strip the antennae, limbs and wings from 20 to 30 clean, frozen adult crickets, or 40 to 60 cricket nymphs. - Spread the stripped crickets on a lightly oiled baking sheet and place in oven. - Sprinkle these on salads or put them through a coffee grinder to turn them into bug "flour." You could combine the crickets with Chex Mix for a protein-rich snack. One day you might get a surprise, when you reach home and these six-Legged Meat is served for your dinner. Guess Which Former Cricketer is Entering Bigg Boss House This Year! Andrew Symonds on Big Boss Season-5 !!! Who Wants A Gold Coin With Tendulkar on It? David Cameron Plays Cricket in Mumbai!